888 UK Limited ("us" or "we" or "our" or "Company") is incorporated under the laws of Gibraltar and is part of the 888 corporate group. We are licensed and regulated by the Great Britain Gambling Commission under the provisions of the UK Gambling Act 2005 for the purposes of operating and offering internet gambling services including, but not limited to, casino, poker, sports betting and bingo services (the “Services”). PLEASE READ THE TERMS OF SERVICE SET OUT HERE ("TERMS OF SERVICE") CAREFULLY BEFORE USING THE SERVICES OR SOFTWARE PROVIDED BY US. PLEASE NOTE: These Terms of Service shall only apply to you if you play or register an account in the United Kingdom (the "UK"). PLEASE NOTE: If you play in any European Single Market member state, except for states which you play on a local license, for example, in Spain, Italy or Denmark the User Agreement (as defined below) shall not apply to you and you can find the applicable terms here. PLEASE NOTE: If you play outside of a European Single Market member state or the United Kingdom, the User Agreement (as defined below) shall not apply to you and you can find the applicable terms here. The Services are provided under: (i) our in-house brands such as “888sport” “888casino” and “888poker” (each an "In-House Brand"); and (ii) brands owned by third parties which are not part of the 888 corporate group but whose website is operated by us (each such brand a "White Label Brand" and each such third party owner a "White Label Brand Partner"). The Services are provided via various websites under In-House Brand or a White Label Brand (together, the "Sites"). In addition to this, we may from time to time also offer the Services via alternative platforms such as: (i) interactive television; (ii) mobile gambling platforms; and (iii) in-flight entertainment platforms (each, an "Alternative Platform"). Our software, which is available in either downloadable or non-downloadable forms and via either the Sites or an Alternative Platform (the "Software"), allows you to use the Services. When you use the Services or Software either via an In-House Brand or a White Label Brand and whether through the Sites or an Alternative Platform, the User Agreement shall apply to you. By registering with us and/or by using or accessing the Sites, Alternative Platforms, Services or Software, you agree to be bound by the terms of the User Agreement. As such, the User Agreement constitutes an agreement between you and us and the User Agreement shall govern your use of the Services and Software at all times. If you do not agree to any of the provisions of the User Agreement you should immediately stop using the Services and Software and remove the Software from your computer and/or any other applicable device. The Services are intended to be used by players who play or register in the UK only. We will not be responsible for any illegal or unauthorized use of the Software and/or the Services by you. If we reasonably suspect that you are using the Software or Services from outside the UK, this may result in us terminating your account, freezing the funds in your account and providing your details to our licensors and/or the relevant authorities and you shall be liable for any damage or loss resulting therefrom. PLEASE NOTE: If you are under the age of 18 and gamble you are committing a criminal offence in the UK. We may request proof of your age at any stage from you, to verify that you are 18 years of age or older. If your age is not verified by us within 72 hours of your first deposit with us, your account will be frozen and no further gambling will be permitted until we have successfully verified your age. Whilst we are undertaking such age verification, you will not be able to withdraw any winnings from your account. If on completion of the age verification process you are shown not to be 18 years of age or older, you will have materially breached the User Agreement and we will close your account in accordance with applicable regulation and terminate the User Agreement. Whilst they are engaged by us and for a period of 24 months afterwards, none of our officers, directors, employees, consultants or agents or any other company within our group of companies or our suppliers, vendors or White Label Brand Partners are permitted to use the Services directly or indirectly. This restriction also applies to relatives of such persons and for this purpose 'relative' includes such person's spouse, partner, parent, child and sibling. In addition to this, neither Gibraltarians nor residents of Gibraltar are permitted to download the Software or use the Services. The brand names relating to the In-House Brands, the White Label Brands, the Sites and the Alternative Platforms and any other trademarks, service marks and/or trade names used by us either on our own behalf or together with our white label partners from time to time (the "Trade Marks") are owned by us, any company within our group of companies and/or our licensors. In addition to the rights in the Trade Marks, we or any company within our group of companies and/or our licensors own the rights in all other content of the Sites and the Alternative Platforms, including but not limited to the Software, images, pictures, graphics, photographs, animations, videos, music, audio and text available via the Software or on the internet (the "Site Content"). By using the Services or the Software you shall not obtain any rights in the Trade Marks or the Site Content and you may use the Trade Marks and Site Content in accordance with the terms of the User Agreement only. You are 18 years of age or older, you are of sound mind and you are capable of taking responsibility for your own actions. Your account with us is solely for your benefit. You shall not allow any third party (including a relative, as defined in section 3.9 above) to use your account, password or identity to access or use the Services or the Software and you shall be fully responsible for any activities undertaken on your account by you or by a third party acting on your behalf. You will not reveal your account username or password to any person and you shall take all steps to ensure that such details are not revealed to any person. You shall inform us as soon as reasonably possible if you suspect that your account is being misused by a third party and/or any third party has access to your account username or password so that we may investigate such matter, and you will cooperate with us, as we may request, in the course of such investigation. We will not be responsible for any misuse or access to your account username or password by a third party, unless this occurs as a direct result of our failure to use reasonable care and skill. You are responsible for the security of your username and password on your own PC or internet access location. If your username or password is “hacked” from your computer, due to any viruses or malware that is present on the computer that you access your account with, which do not result directly from our failure to use reasonable care and skill, this is your responsibility. You should report hacking attempts or security breaches known to you from your computer terminal as soon as you are become aware of such to us. We may seek to publish the amounts you have won alongside your chosen username on the Sites and/or through social networks for promotional purposes. We will not publish such information however without first having obtained your specific approval to do so. Full terms and conditions of our social network promotions are available here. Certain games may also require the display of your username and the amounts that you have won or points you have accumulated to function properly (for example in-game leader boards). You agree that we may use your username and the amounts won as part of such in-game functionality without seeking further consent. You acknowledge that certain games which are included in the Service are offered to you on a "shared basis", which enables users of the Service via the In House Brands, White Label Brands as well as users of third party platforms to play with one another. In such cases, you accept that you may play with or against other users, who may have different configurations to your own, this includes but is not limited to, different currencies and bet limits. You acknowledge that “live” TV events and other broadcasts that you choose to bet on may be delayed, resulting in other players possessing more up to date information in relation to the broadcasted events. Illegal Funds: Where the source of funds used by you for gambling on the Sites are illegal or where you use the Services in any way as a money transfer system or where we reasonably suspect that you may be engaging in money laundering activities, including use of the proceeds of crime. Software Aids: Using any Software Aids, as detailed in Section 24.3.3 below. Using Artificial Intelligence: Using any software program or robot which is endowed with artificial intelligence to performs any action on behalf of a player. Intentional Disconnection: Intentionally disconnecting from a game while playing on the Sites. We have developed and employ elaborate methods which enable us to seek out and accurately identify users who carry out an intentional disconnection during a game. Collusion: Collusion occurs when two or more players attempt to gain an unfair advantage which includes but is not limited to sharing knowledge of their cards or other information, and unless stated otherwise by us, by agreeing to split a prize-pool. Chip-Dumping: Chip-dumping, as detailed in Section 24.3.2 below. Abuse of the "Sit Out" Feature: Abusing the "Sit Out" Feature as detailed in Section 24.3.5 below. Special Offer Abuse: Deceitfully taking advantage of our welcome bonuses or executing any other deceitful activity in relation to: (i) a bonus promotion offered on any of the Sites owned and/or operated by us (for example by opening multiple indistinguishable accounts to obtain a welcome bonus several times on any Site, only depositing during promotional activity or opening multiple accounts across the network), (ii) our free sites and free games offers (for example, by playing repeatedly only with free games, or by purchasing all the tickets for a free game), or (iii) in case of repeated patterns of deposit/cashout/redeposit purely intended to gain the deposit related bonus. If you do not log in to your account for a consecutive period of 12 months for reasons other than self-exclusion in accordance with the Responsible Gaming Policy, your account will be considered a "dormant account". Before an account becomes a dormant account, we will use reasonable efforts to notify you via the most current contact details you provided to us. Following your account becoming a dormant account, for security reasons we will suspend the balance in the account at that time to ensure the balance is safe and secure. This means you may not see your balance in your account if you attempt to log-in. However your rights to the balance in your account are unaffected and , you can at any time contact us at support@888poker.com to request access to any positive balance in your account before the account became a dormant account. Following your request and following our completion of any identity verification checks we need to undertake, we will restore access to your account and such positive balance where we are reasonably able to do so, or if we are not reasonably able to restore access to your account, we will refund the positive balance directly to you. We may implement a rounding policy in relation to monies deposited by or cashed-out to members where currency conversion is involved. The effect of this policy shall be that deposit or cash-out amounts in currencies other than US Dollars might be rounded up or down on conversion to or from US Dollars. By way of example only, if according to the exchange rate a 10 EUR deposit is converted by us into 13.61 USD then your account will be credited with 14.00 USD. Details of the rounding policy in effect from time to time will be available to you at the point that any monies are converted. Any funds you deposit with us will be held in a bank account in our name (the “Designated Account”). The Designated Account is a separate account which only contains funds deposited by and due to players, which are to be used for the sole purpose to pay for players’ use of our services. The funds will be retained by us in the Designated Account until used for that purpose. Please note that the Designated Account meets the Great Britain Gambling Commission’s requirements at the medium protection level as we hold player funds separate from our funds in this account, which is designated as a client account and subject to specific instructions as to how these funds are to be treated. This means that steps have been taken to protect customer funds but there is no absolute guarantee that all funds will be repaid if we should at any time become insolvent. For more information about the protection of customer funds please see the Great Britain Gambling Commission website here. If we should at any time become insolvent and be put into liquidation, our assets and liabilities shall be handled in accordance with the laws of Gibraltar. Creditors shall be paid in accordance with the statutory order of priority. Cassava Enterprises (Gibraltar) Limited and/or Virtual Marketing Services (Ireland) Limited, companies within our corporate group, will process your payments and handle your funds on our behalf. The name of Cassava Enterprises (Gibraltar) Limited or Virtual Marketing Services (Ireland) Limited will therefore appear on your credit card statements (or on other payment statements as applicable). Subject to regulatory requirements, we may, from time to time, without notice, use any other company within our corporate group to provide such services. We may vary or cancel any promotion, bonus or special offer at any time. Other than where necessary to prevent fraud or other similar unlawful behavior, any such variation or cancellation will not apply to you if you have already opted into the promotion, bonus or special, made a deposit in expectation of receipt of a bonus or other benefits offered, and/or commenced play in relation to the promotion, bonus or special offer prior to the date of the communication of the variation or cancellation. In the event that we have a reasonable suspicion that a user of the Service is abusing or attempting to abuse a bonus, offer or other promotion (as further described in section 6.2(k)), then we may deny, withhold or withdraw from any user any bonus, offer or promotion, either temporarily or permanently, or close that user's account and terminate the User Agreement in accordance with section 14 below. All users of the Services shall be entitled only to one welcome bonus. Members who make their first deposit through one of the Sites owned or operated by us, including both In-House Brands and White Label Brands, and who have or previously had an account with any of the Sites owned or operated by us, including both In-House Brands and White Label Brands, shall not be entitled to an additional welcome bonus. Bonus funds are subject to wagering requirements, which are requirements that require you to make wagers totalling a particular value in order to be able to withdraw bonus funds and any winnings associated with those funds. Please see the Bonus Policy for more details on wagering requirements. Your account is made up of both "Available Funds" (which may also be referred to on the Sites as "Cash Balance" or "Deposit Funds") and "Restricted Funds" (which may also be referred to on the Sites as "Bonus Balance"). Your Restricted Funds are the total of bonus funds that have not yet met the applicable wagering requirements and any winnings associated with such bonus funds. Your Available Funds are those funds that you have deposited and any winnings derived from such funds as well as any bonus funds that have met the applicable wagering requirements. Available Funds can be: (i) used in any applicable game; or (ii) withdrawn at any time in accordance with the Withdrawal Policy. Please note that your deposit may not reach your account immediately, but may take a number of days until such deposit is processed by your payment processor and reaches your account. Until such time, such deposit shall not be considered as Available Funds. If you have both Available Funds and Restricted Funds in your account, the next wager you make will use Restricted Funds first. Available Funds will only be used once your Restricted Funds balance is zero. If you place a wager on casino games or the Pick'em game using Restricted Funds only and win you will receive, depending on your chosen account currency, up to a maximum of $500/€500/£500 in winnings. If your winnings exceed $500/€500/£500 you will only receive $500/€500/£500. Such limitation on your winnings shall not apply to verified progressive jackpot winnings derived from Restricted Funds. The jackpot prizes will not increase as a result of wagers made with Restricted Funds, free spins, FreePlay or jackpot vouchers. Only wagers with Available Funds shall increase the jackpot prizes. You may request the removal of bonus funds from your account at any time, however if you choose to do so, this removal may include any winnings gained from the use of such bonus funds. Other than with regards to our obligations under any law or regulation which applies to us, we have no obligation to check whether you are using the Services in accordance with the User Agreement nor are we obliged to investigate or pursue any complaints made by you against any other player using the Services or to take any other action in connection with this. We have no obligation to maintain account names or passwords. If you misplace, forget or lose your account name or password due to anything other than our failure to use reasonable care and skill, we shall not be liable to you for this. Subject to section 11.1 above, we do not promise that the Software or our Services will be available uninterrupted and in a fully operating condition at all times. Access to the Software and/or Services may be suspended temporarily and without notice in the case of system failure, maintenance or repair or for reasons reasonably beyond our control. Subject to those rights set out in section 11.1 above, we do not promise that the Software and/or Services will be error-free, that defects will be corrected or that the Software or the server that makes it available are free of viruses or bugs or represent the full functionality, accuracy, reliability of the materials or as to results or the accuracy of any information obtained by you through the Services. Subject to the above, the Software and Services are provided on an 'as is' and 'as available' basis. We make no warranty or representation, whether express or implied (whether by law, statute or otherwise), including but not limited to implied warranties and conditions of merchantability, satisfactory quality, fitness for a particular purpose, completeness of the Services or the Software. In addition, we do not promise that the Software and/or Services will meet your requirements. Other than as described in this Section 11, we do not provide any guarantee in any way in respect of the Software or Services or with respect to statements made by advertisers on or via the Software and/or Services. You will compensate us (and/or, where applicable, White Label Brand Partners) for any losses, costs and expenses, including legal fees, which such parties suffer as a result of any material breach of the User Agreement by you. Unless otherwise explicitly stated in the User Agreement, in addition to any other remedy available to us, if you breach any of these terms and conditions of the User Agreement, we will be entitled to immediately close your account(s) and terminate the User Agreement in accordance with section 14 below, and/or stop you from registering another account with any of the In House Brands or White Label Brands. In such cases we shall only return to you the cashable funds in your real money bankroll, excluding any expenses or damages directly caused to us in relation to such breach, where such amount is positive. However, if you have materially breached the User Agreement, we reserve the right to withhold any deposits, winnings or funds in your account. In addition, we may withhold any funds in your account(s) if so required by applicable law, regulation or by any relevant authority. Failure to comply with the User Agreement may also result in disqualification and/or legal action being taken against you. Other than as a result of a technical failure which we are directly responsible for, you accept and agree that the random number generator will determine the randomly generated events required in connection with the Services and where the result shown on the Software (as installed and operated by your hardware) conflicts with the result shown on our server, the result shown on our server shall in all circumstances take precedence. You understand and agree that (without prejudice to your other rights and remedies) our records shall be the final authority in determining the terms of your use of the Services. If you wish to make a complaint, you can raise it with our customer service department at support@888poker.com or via the support email relevant to the applicable White Label Brand Partner. Where possible, please provide us with all the relevant information or evidence reasonably required to review your complaint. Please note that we do not accept complaints made via social media. If you do not agree with their decision, you can contact our Support Manager to escalate your complaint. You can do so by contacting us here: (manager@777.com / manager@888casino.com / manager@888poker.com / manager@888sport.com ). You should provide the Support Manager with full details of your complaint and, where possible, any relevant evidence that they may reasonably require in order to assess your complaint and review the customer service department’s decision. 13.6 If you are based in the UK, and your complaint relates to a gambling transaction (for example the placement of a bet or wager, the grant of a bonus, account management, or your ability to access funds or winnings), and it has not been resolved to your satisfaction at the first stage of the above procedure or within 8 weeks of you having made it, you may refer the dispute to an alternative dispute resolution procedure with eCOGRA, free of charge. Please note, if you refer a complaint to eCOGRA before you have raised it with us, eCOGRA may not asses your complaint. Where you refer your dispute to eCOGRA you are advised to do so promptly. More information regarding eCOGRA’S dispute resolution services can be found at https://www.ecogra.org/ata/policies_procedures.php. For a dispute resolution form please see https://www.ecogra.org/ata/dispute.php. If you exhaust our internal complaints procedure, or your complaint has not been resolved within 8 weeks of you having made it, we will send a notification to you setting out further details as to the process to follow to refer a dispute regarding a gambling transaction to eCOGRA. You can also access details regarding our complaints procedure and the above alternative dispute resolution procedures here. You may terminate the User Agreement and close your account at any time by sending an email to us at support@888poker.com or via the support email relevant to a White Label Brand Partner. Such termination of the User Agreement shall take effect upon the closing of your account (including username and password), which shall occur within 7 calendar days after receipt by us of your email on our servers in Gibraltar. You will remain responsible for any activity on your account between sending us such email and the closing of your account by us. If you have chosen to self-exclude yourself from our platform, we will close all accounts identified as belonging to you, in accordance with our Responsible Gaming Policy. However, if you choose a temporary “Take a Break” period, your account will be closed only at the requested In House Brand or White Label Brand. If you have previously had any issue with gaming addiction, financial difficulty, or any other such issue accounted for under our “Responsible Gaming” procedure, you must not use our Software or Services or open new accounts with us or with any of our In-House Brand, White Label Brand partners or with any other company within our group of companies whilst such issue persists. Without affecting your rights with respect to the Designated Account as stated above, nothing in the User Agreement will grant you any security interest over our assets, including for the avoidance of doubt on any amounts standing to the credit of your account. We are subject to certain laws and gambling regulations of Great Britain. You acknowledge that we may be bound to disclose certain information about you and your account to the British authorities pursuant to such laws and regulations. For more information regarding the licensing status of 888 UK Limited please see here. If you choose to uninstall the Software certain registration keys will remain on your computer in order to maintain responsible gaming rules, monitor fraud attempts, and comply with Gibraltar Regulatory Authority (GRA) or UK regulatory authority, as applicable. Please note that we may discontinue support for outdated versions of the abovementioned hardware or software. The User Agreement and the relationship between the parties shall be governed by, and interpreted in accordance with the laws of England and Wales. Without prejudice to your right to refer your dispute to an alternative dispute resolution procedure with eCOGRA or the European Commission's Online Dispute Resolution Platform, if you wish to take court proceedings against us you must do so in the English courts which both you and we submit to. All bets placed by you in relation to multi-player poker games are bets placed with other users and not bets placed with or against us. We do not assume any risk whatsoever for bets placed between you and any other user of the Service. Please note that in relation to any peer-to-peer games or any other games, you may not use any tools or software other than: (i) tools that provide you with basic game statistics and information that could be useful to beginners, such as hand strength and pot odds indication, (ii) tools which provide you with basic-level advice about the game such as opening hand charts, (iii) tracking software that calculates and displays in-game statistics which are intended to help you organise the information that you already have access to as a player at that specific table (apart from Snap games), and (iv) tools that improve your experience without influencing the game itself or providing any advice (for example enhanced display, keyboard shortcuts and improved visibility), (collectively "Permitted Aids"). For the avoidance of doubt, section (iv) shall not include any software program or external aid which, in our opinion, enables you to find a seat at a poker table or automatically seats you at a poker table. You may not use any software program, robot or external aid, which is endowed with artificial intelligence or which is not included in the Permitted Aids list (set out in section 24.3.2 above) (regardless of whether you are actually using the Software). Examples of such prohibited tools, software and external aids are: (i) tools and services that allow for any type of collusion between players, such as showing cards, (ii) tools that assist players to select games in accordance with player identity, (iii) tools or websites that reveal and share information about other players against their will, such as game statistics and overall earnings, (iv) any type of tool that performs any action on behalf of a player at the table, (v) any tool or program that collects information about other players at the tables in the player’s absence, (vi) any tool or program that provides game advice in real time based on the actions of the other players at the table; or (vii) any software program or external aid which, in our opinion, enables you to find a seat at a poker table or automatically seats you at a poker table (collectively “Software Aids”). 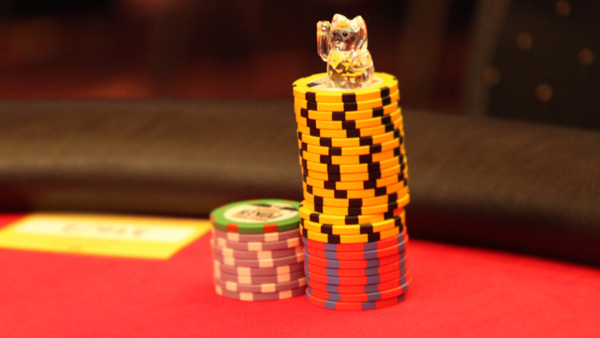 Chip-dumping occurs when any player deliberately loses a hand in order to deliberately transfer his chips to another player. You may not be involved in an act of chip-dumping or attempted chip-dumping while using the Service. You may not repeatedly abuse the “Sit Out” feature or using such feature for excessive periods of time. The "Sit Out" feature is only intended for taking short breaks between extended periods of play. It is not intended for use while no play is taking place at the table, or for waiting on players to join or leave the table. You understand and agree that all of our multi-player poker games are public and therefore may be reviewed and published by other players, either at the time of the game or afterwards. 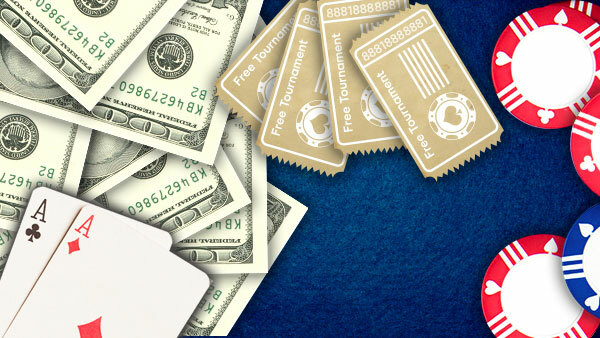 Money Transfers – You may only transfer Available Funds to other accounts in relation to our poker products. If you choose to send a transfer of Available Funds to any account, once the amount and the recipient username has been confirmed, such transfer is irreversible, and we will not be responsible for any loss of funds caused by the member transferring monies to the wrong account.. In addition, we may require the recipient of such funds to make bets or wagers prior to making a withdrawal of such funds. If your account receives Available Funds from accounts that have security issues, we may block your account and withhold any funds, until such security issues are resolved on all accounts – including those that you received money transfers from. 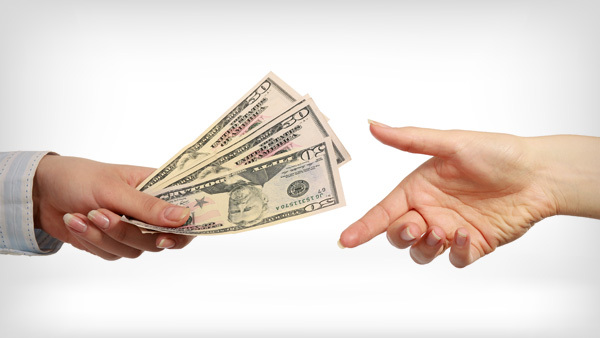 You are fully responsible for paying any and all monies owed by you to other users of the Service and to us. Any claim which you may have for payment of winnings in respect of losing bets placed by another user of the Service or with respect to any “deals” you have made with another user are against that other user and not us. We are in no way responsible to pay you if any user of the Service fails to pay his debts for whatever reason, or for taking any action whatsoever against such users. All disputes that arise between users of the Service, including those relating to payment fraud, are not our responsibility. In case of any investigation relating to suspected fraudulent behaviour with regard to poker play involving your account and any other players, we will investigate any such activity, and take any action we reasonably believe is necessary (including blocking said accounts and retaining any funds therein). We are under no obligation to provide details of the investigation and/or funds retained, or whether this has affected your account in any way. We will cooperate with any competent authority investigating such an incident, and funds will be retained by us, until we have received sufficient instructions from the competent authority to either unblock said accounts, or release any portion of the retained funds back to the accounts affected. In the event that you suspect that a player is colluding cheating or engaging in any other form of fraud please report this to us in accordance with our dispute resolution process detailed in Section ‎13. On a mobile or tablet device, you will only be able to play one poker game or tournament at one time. You agree that we may make the fullest use (including, without limitation, to reproduce, distribute, publicly display, publicly perform, edit, adapt, modify or make derivative works thereof) worldwide of the hands which you play in on the final table of major tournaments (which includes revealing the cards which were dealt to you that no other player could see), on the Sites and on our and our affiliates social media accounts (including but not limited to Facebook, Twitter and YouTube). Your participation in the live poker video table will be deemed to be your agreement for us to use your name, audio, likeness, image and country without the requirement for any payment and you hereby grant us the right to do so. You acknowledge and agree that we may film and photograph the poker tables as well as stream live videos from same on the Sites. As well as possessing the right to restrict your account including without limitation, restricting the amount you may deposit into the account, we reserve the right on a case by case basis, we may limit or refuse any bet, stake or other wager made by you or through your account on our sports betting products. For the avoidance of doubt, if your account is subject to maximum bet restrictions this may result in you being unable to use a free bet received as part of a promotion on a certain market(s). Where you place a bet on a sport which is regulated by a sports governing body included in Part 3 Schedule 6 of the Gambling Act 2005 or published on the Great Britain Gambling Commission's website (each a “Sports Governing Body”), in order for your bet to be accepted as a valid bet by us, you must not be in breach of any rules concerning irregular and/or suspicious betting or misuse of information relating to: (i) the applicable Sports Governing Body; (ii) any other professional body of which you are a member of; or (iii) your employers. If we suspect you are in breach of the foregoing, we may void the relevant bet. We or our affiliate within the 888 group of companies, as applicable, are a member of the European Sports Security Association ("ESSA"), a non-profit making organisation that monitors irregular betting patterns and possible instances of event manipulation. As part of that membership, we are a full participant in its early warning system which is geared towards identifying any such betting behaviour. In the event of a warning being received by us, we hold the right, in our absolute discretion, to: (i) suspend the offering of any event or series of events in any of its markets; and (ii) delay and/or withhold payment on any event or series of events in any of its markets, until the integrity of such event or series of events has been confirmed by the relevant sports federation via ESSA. Further, in the case of active event manipulation being confirmed as having taken place on any event or series of events by ESSA, acting in conjunction with the appropriate sports governing bodies, we have the right, in our absolute discretion, to suspend any bets placed on such events, either by any individual identified by ESSA as having possessed insider betting knowledge or information or by any other individual who in our reasonable opinion is connected to, acting in conjunction with or in any way involved with such individual. We reserve the right to withhold payments or void any bet(s) with respect to an event or match, if we have reasonable suspicion or evidence that the following has occurred: (i) the integrity of the event has been questioned; (ii) the betting prices have been manipulated; or (iii) match or event rigging has taken place. Such evidence may include but not be limited to size, volume, or pattern of bets placed with us or its affiliates within the 888 corporate group on any Site operated by us or any of our affiliates. If we reasonably believe that any suspicious betting or wagering activity has occurred on your account, such account may be suspended by us until any relevant investigation is completed.